When someone joins your team, help introduce them to everyone, give them hints on how to get up to speed in their new job, and make them feel welcome. 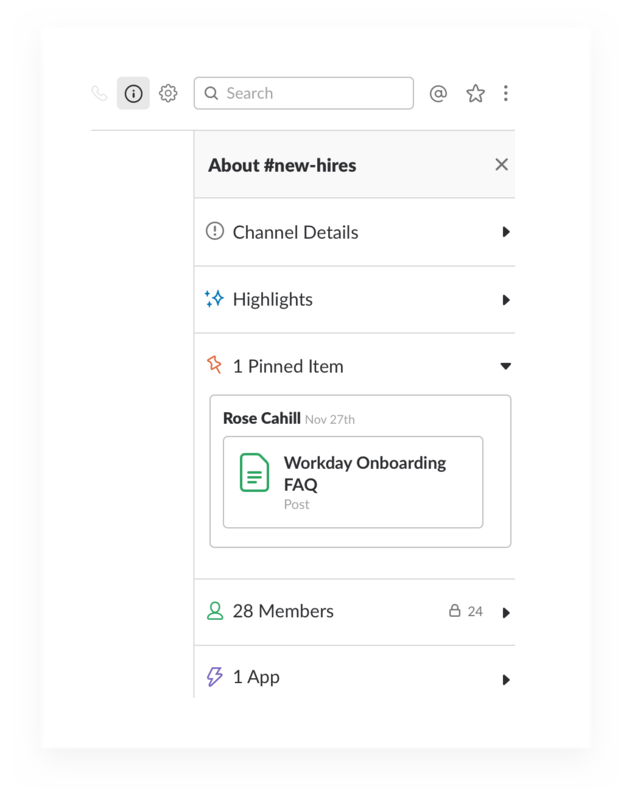 Create a channel called #new-hires and pin the most important documents and messages that explain policies and due dates to help get new employees up to speed. 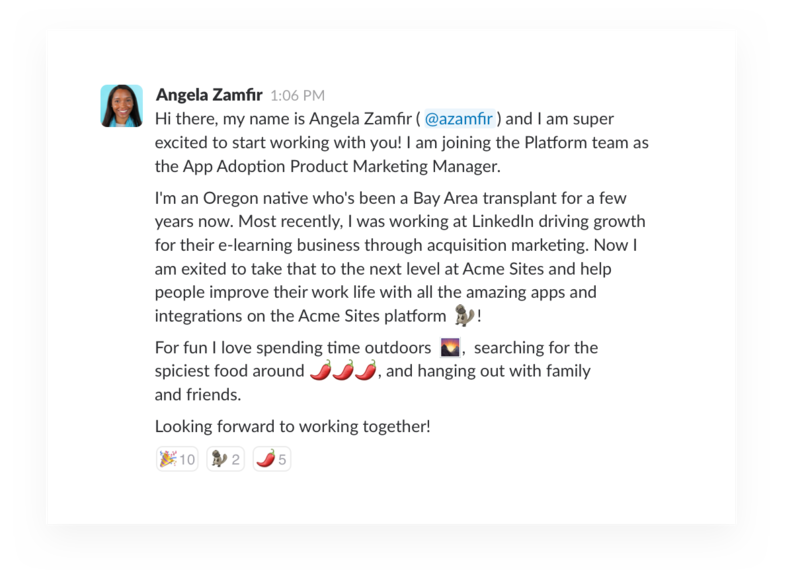 Invite your HR staff to join the channel and allow new hires to ask questions there and remind them to scroll up to see answers to previous queries. 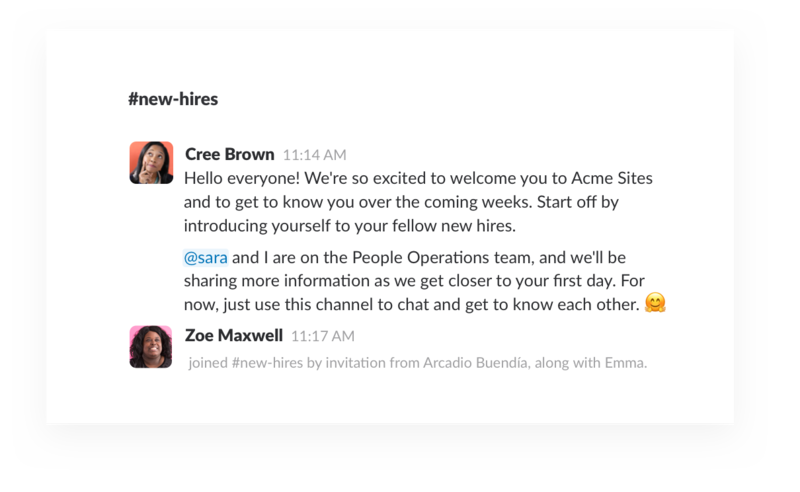 Create a channel called #intros and ask new hires to post a paragraph about themselves to everyone in the company soon after they join. Others can welcome them with emoji reactions and use threads to ask them questions about their hobbies or post a kind welcome. 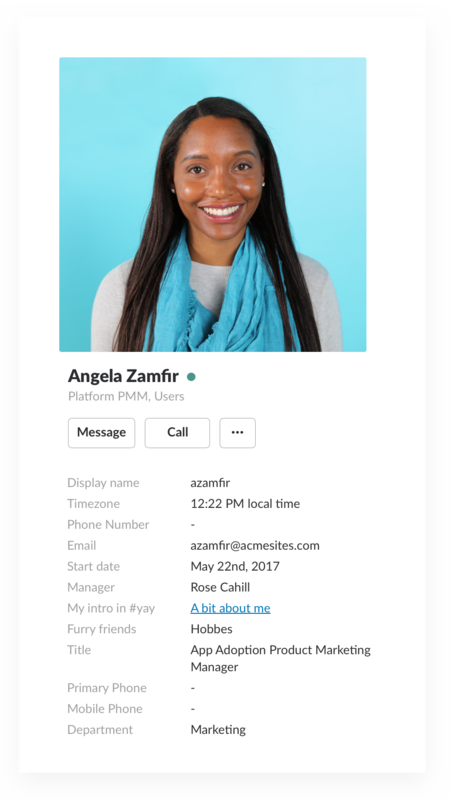 You can also ask employees to link to their #intro message in their custom member profiles. 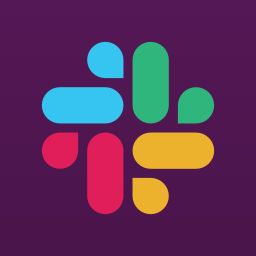 There are a few apps in the Slack App Directory that are specifically tailored to help with the onboarding process. 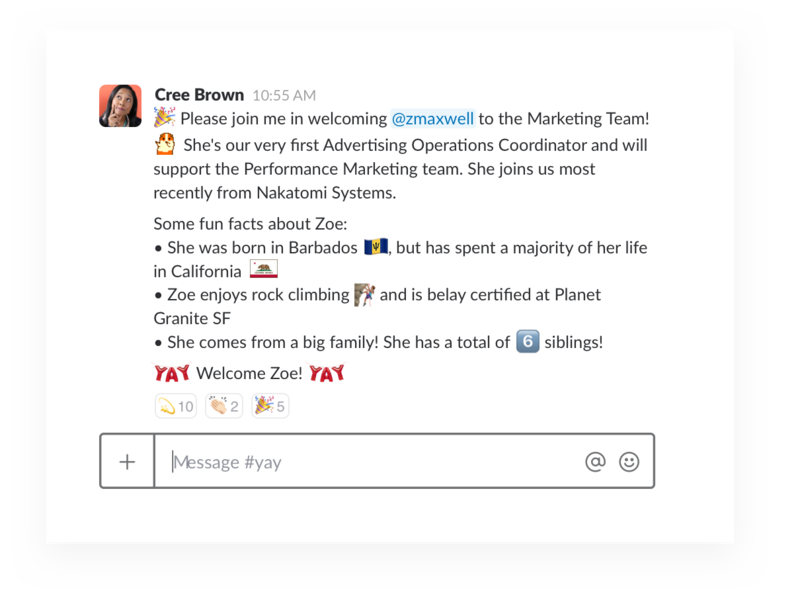 Donut, GreetBot, and Aloha all offer Slack apps to automate some aspect of your welcoming and onboarding.